Some of you who follow my regular posts will know I have horrendously sensitive skin. There are very few products I can use that don’t make my skin become at best, red, angry and dry. At worst my skin has actually become inflamed, chapped and peeled off. This time last year I was at the start of a three month battle with my skin. I stupidly put a product on that made a layer of my skin peel away. For the three months after if I put anything other than water on my face it would become bright red, angry, chapped and eventually peel away. After a trip to the Dr’s for some Epaderm, lot’s of rest (no make up arghhhhhhh) and washing with only water it eventually got better. 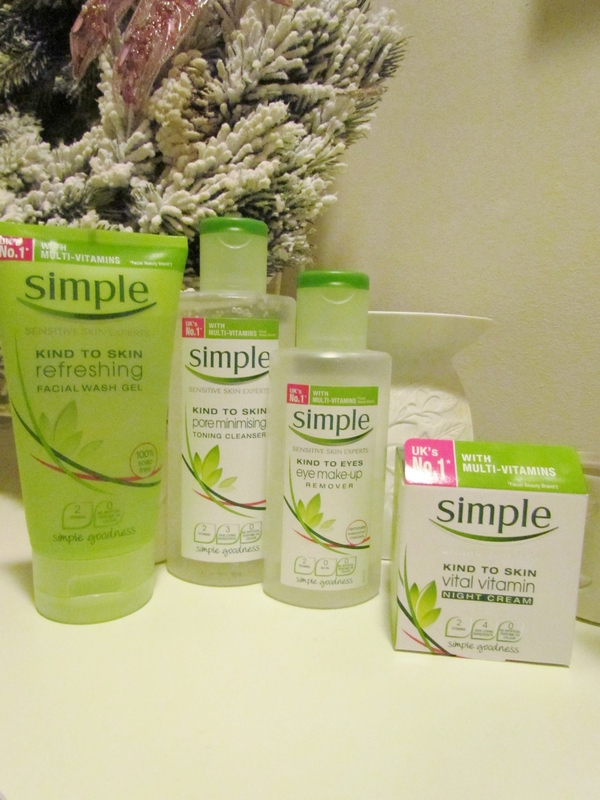 Now I only use very very gentle products on my skin and I keep them to a minimum. I used to use Body Shop Vitamin E but my skin no longer tolerates it. 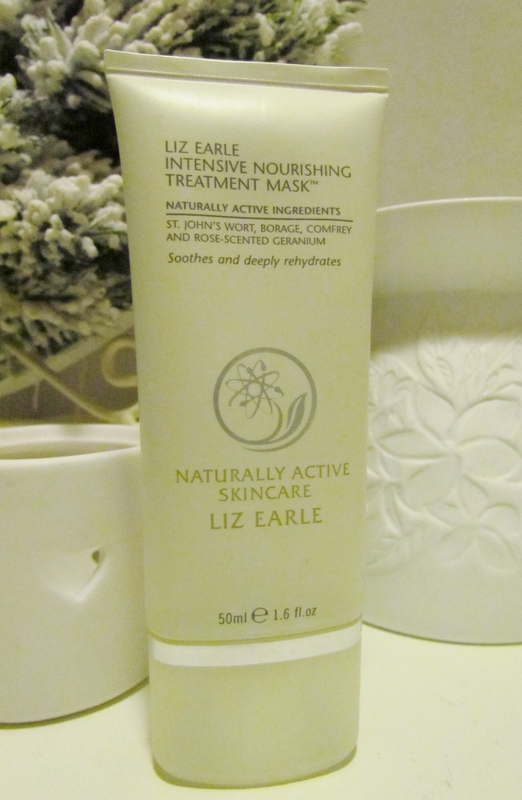 I also used to love indulging in Liz Earle skin care products but I can no longer use them on a regular basis either. At present I tend to alternate between Aveeno (absolute God send), Simple and Nivea. Occasionally I indulge in a LUSH or Liz Earle face pack. So here is what I do to try and keep my horrible angry skin supple and calm. Toner – I tend to avoid these as they strip my skin of it’s limited moisture reserves. I have however come across a pore minimising Simple wash/toner so I am going to trial it for a few weeks and pop a review up. Word of advice…Never ever use an alcohol based toner if you have sensitive skin! Moisturiser – I find a Nivea, Simple or Aveeno (sorry I am waiting on a delivery so have no pics) day moisturiser works well for me. 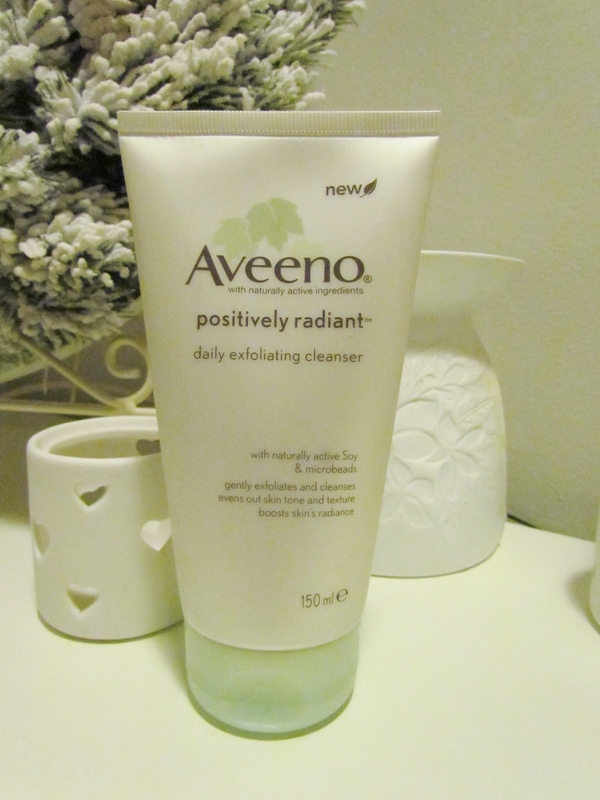 I also apply an Aveeno serum too, I find it helps pack the moisture in. 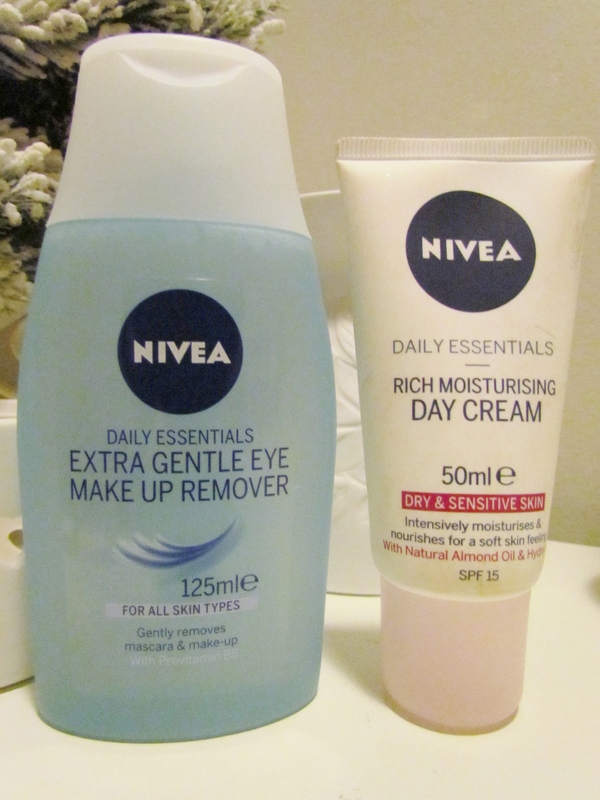 Eye Make Up Remover – Nivea or Simple are the only ones I go near. Any others leave me with chapped, watery eyes which does not go hand in hand with a smoky eye, can you say Marilyn Manson?! 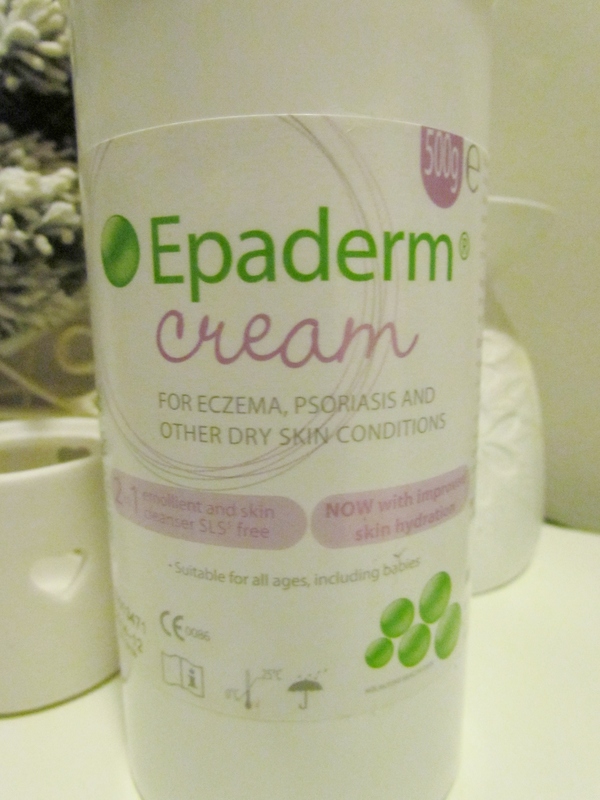 Moisturiser – I usually stick with my Epaderm (GP prescription cream) as it’s heavy duty and helps my skin find it’s inner suppleness by morning. Due to the dry nature of my skin breakouts are never a problem. However…since the festive period and the shear amount of crap I have been eating I have noticed a few spots trying to rear their ugly heads. I am now opting (temporarily) for a Simple night cream. Eye Cream – My skin is still getting along nicely with the Body Shop Vitamin E eye cream, this is the only Body Shop facial product that my skin will tolerate which is a pain because their stuff is fab! So there we have it, my very restricted and rigid regime. I have recently been looking into cleansing systems such as the clarisonic Mia 2. This has a sensitive head and pulsating option, it costs around £125.00 plus £25.00 for a sensitive head. 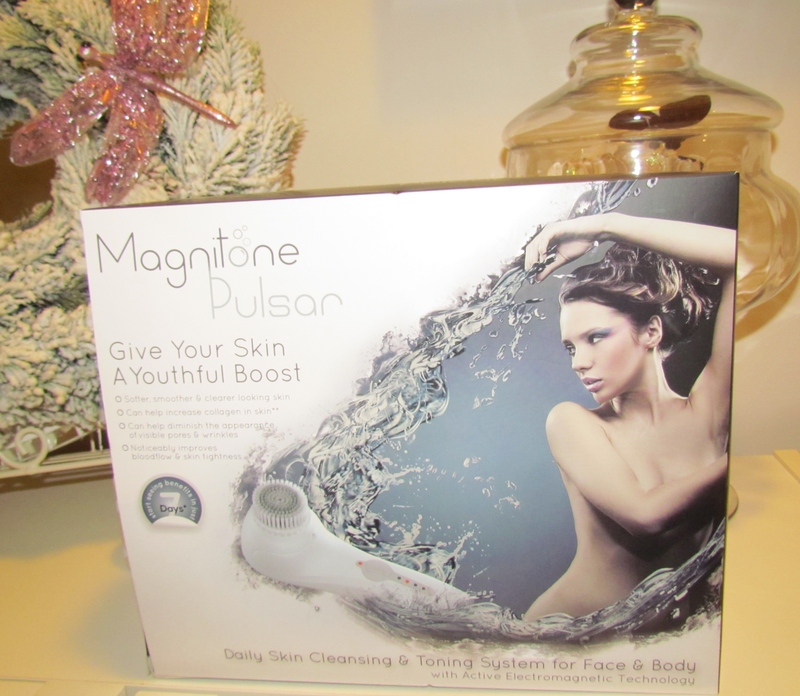 Yesterday when I went to the boxing day sales I came across a different system in Boots called the Magnitone Pulsar. It was reduced from £130.00 to £65.00 plus it had an extra 10% off. I was kindly treated to this and some gorgeous Diptyque perfume for Christmas by a family member…How lucky am I? Not only was the Magnitone system an absolute bargain but it only costs around £15,99 for two replacement sensitive heads. I’m hoping that this will help with the ongoing issue that is my dry skin and help me to minimise the amount of products I use. Again I’m going to use it for a few weeks and pop a review up. I hope this has helped some of you. If you have sensitive, problematic skin and want to chat about things that have helped or even hindered me, drop me a line and I’ll be happy to discuss. I know it can be soul destroying walking past the fabulous skin care products by the likes of CHANEL, Laura Mercier and Shu Uemura to name a few, but take it from me, I have been tempted and ended up in a right mess time and again. If you have sensitive, angry skin you neeeeeeed to be careful, get samples of any products you want to try and try not to have too many products on the go. Always introduce one thing at a time so if you have a problem you know what it is. Opt for things that are paraben, alcohol and sulphate (SLS) free. Where possible always grab the sensitive options and if your skin is really angry and/or inflamed pay your GP a visit for some expert advice. There is no point battling it out on your own guys, sometimes us sensitive types need a little expert advice and/or specialist cream!